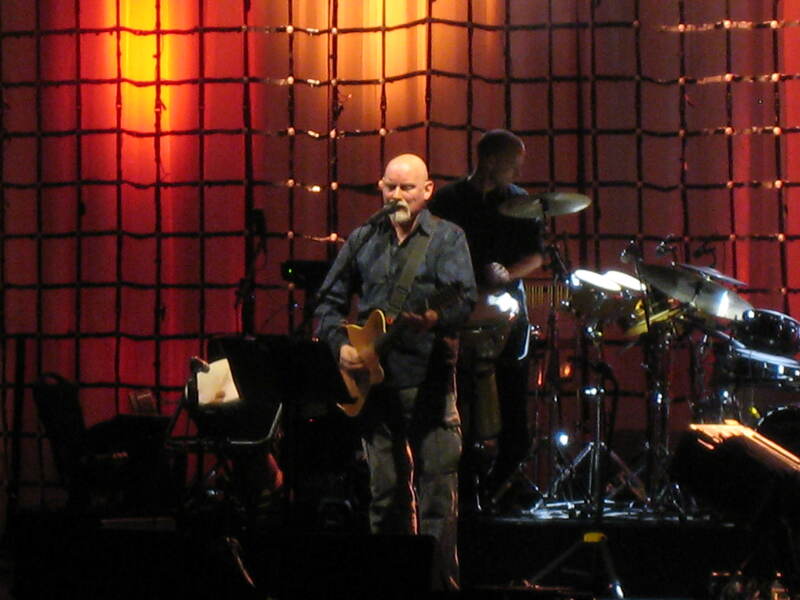 After 16 years of album-related silence and 7 years passed since their last reunion tour, Dead Can Dance finally took the stage on Thursday night, for the second night of their two Beacon Theater shows. Amidst an air of beaming wonder and eager bliss from the mass of dedicated fans, DCD finally ventured out from the shadows and back on the road in support of their newest album Anastasis, their first album of original material since 1996’s World music heavy Spiritchaser. 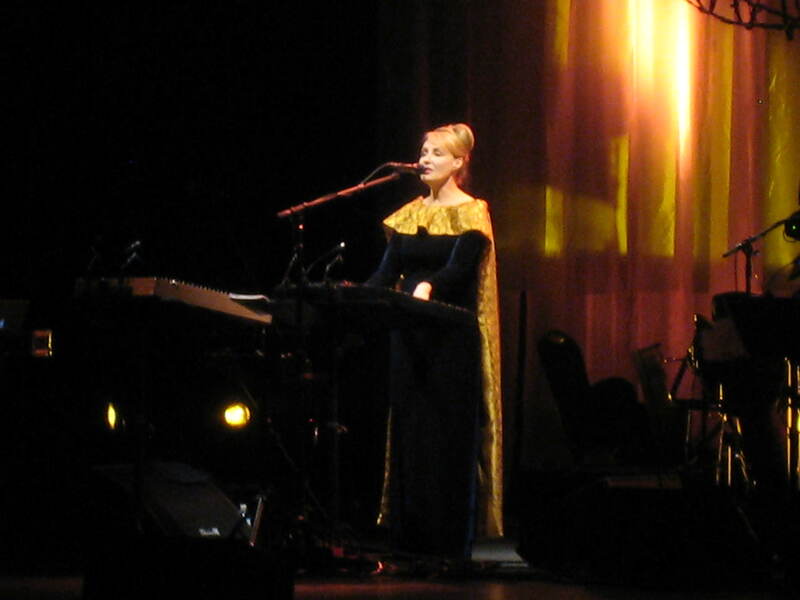 Taking the stage to radiating waves of cheers and screams from the eagerly awaiting crowd, the duo of Brendan Perry and Lisa Gerrard (who was dressed in a long black dress and flowing golden cape, looking much like a physical representation of one of their songs) merely smiled in quiet acknowledgment and took their places. 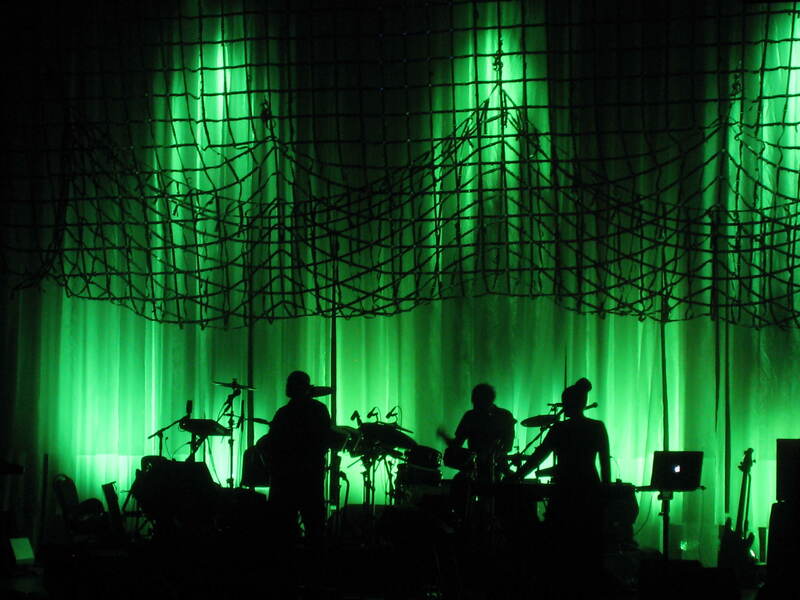 Mr. Perry opened the show with “Children of the Sun,” the first track off of Anastasis. A grand and airy march-like tune, the song gave off vibes of a return to a sound that developed at the height of their career, where Medieval chants merged with an increasing World music flavor. The tune set the pace for the rest of the show; a slow and hypnotic journey into the realm of the group’s spacious, more pensive songs led by a complete performance of the new album interwoven through older selections, including a fitting cover of an 800 year old song from Spain and an older Russian folk song, both performed by Perry. There was some disappointment that none of the older song selections included anything before their 1993 album Into the Labyrinth (one would assume at least one or two of these amazing tracks would make the encores, they didn’t). But what DCD lacked in older material, they more than made up for in true musical cohesiveness. It was a privilege to experience a band that took the effort to create a set that tonally and musically gelled together. They politely disregarded songs the audience would expect to hear, allowing them to transport the audience from their seats at the Beacon theater into the surreal and wondrous world formed between the musical minds of Brendan Perry and Lisa Gerrard. Although Mr. Perry’s performance felt like the guiding force of the evening, especially since he had really determined the direction of the show with his opening song, both members managed to strike a perfect balance between his mystic, philosophical chants and her heavenly, tonal non-lyrics. Lisa Gerrard’s songs especially took on an other-worldly quality, almost making her the subtle star of the evening. On Cd’s or records her vocals seemed to carry an air of overly artsy nonsense where live her voice had the space to roll over the crowd and up to the highest points of the ceiling. From the moment the spotlight illuminated her as she started her first song, the flow of her self-styled lyrics seemed to pull the show into another realm. The wondrous balance thankfully lasted through 3 encores, with Brendan Perry taking the lion’s share of the tunes. Lisa Gerrard took the final encore of the evening, ending with the folk song “The Rising of the Moon,” as she released each note with a tenderness that allowed each member of the audience to absorb every note and conjured syllable that slipped from her tongue to the open air. It was a truly marvelous evening with one of the world’s most incredible acts, one that won’t be forgotten anytime soon… at least until the next time they decide to tour.